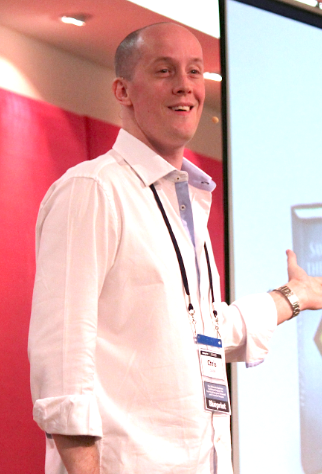 How To Outsource to the Philippines – An Interview With Chris Ducker. You already know how I feel about outsourcing (and building a team) in the Philippines right? I believe it’s one of the biggest opportunities for the business owner since (in short) you can get great quality team members, at excellent rates. That said, most people simply don’t know where to start and it sparks a whole host of questions like: How do you find and hire great staff? How do you train them? How do you work with them virtually? And how do you ensure you don’t get ripped off? Now, I’m always on the look out to bring you the best information I can find on the topic, so recently, while planning for our SEOmethod3 workshop, I asked a few people in my mastermind group about who I should connect with while in the Philippines. And you know who came up on more than one occasion? A guy called Chris Ducker – a Londoner who moved to the Philippines – who runs multiple businesses out of the Philippines. One of his businesses in particular, Virtual Staff Finder (a recruitment company the hooks up local employees to work with international business owners) is most interesting. I thought “right, this guy will have insights most people will never have simply because he’s on the ground – eating, breathing, living this stuff”. So I reached out to find out a little more… and here’s the best news, not only does he know this stuff but he’s a great guy too! So, recorded interview with him and now I’m keen to see what you think. Click here to download an awesome interview with Chris Ducker on the topic of – how to outsource to the Philippines more effectively. And please, if you like this call – email me – and let me know… we’re planning on meeting up on my next trip to the Philippines and potentially getting Chris to come to Melbourne early next year to co-run the Outsource Profit Machine 2.0 – stay tuned. But before I get ahead of myself, download the call here and let me know what you think by posting your comments below. Ps. To keep up to date when I’m releasing these sorts of interviews, be sure to follow me on twitter and join my Google Plus circle. I’m glad that people like Chris Ducker has a lot of trust in Filipinos. Outsourcing in the Philippines is mutually beneficial for the companies and workers. Truly, outsourcing is not just limited to call centers, there’s a whole lot of varied and skilled workers out there fit for every company. Yes I would be keen to come to Melbourne in Feb 2013. Some entrepreneurs do have a superhero mindset but eventually they realize they aren’t Superman, that they can’t do everything. That’s when they need help by building their own team, whether locally or through outsourcing. It’s also amazing what Chris said about getting some luck. Even though you seem to be a superhero, when it comes to business, sometimes pure luck spells a big difference.